Goulash Festival 2019 funded in only 25 minutes! We have now reached 56,000€ (more than last year's entire campaign ;), and we are already more than 600 Goulashians on board, on a total of 1200 tickets available...so, If you or your friends need more tickets, it's still cool, but you may want to hurry up as the space is filling fast! ...Goulash 2019 is in the making! FAQ: Festival Tickets, Name Swaps &amp; Refunds. 1) I contributed to the crowdfunding campaign, but didn't receive my ticket by post! What is happening? 2) I can no longer make it to the festival. Can I sell my ticket or give it to someone ? Individual ticket name swaps were accepted until the 12th August, but we don't do it anymore. Instead, you can ask a refund (see next question). The only exception is if someone has several tickets assigned to his/her name, in which case we still can do an update and assign the ticket to the person who will get it. 3) I can no longer make it to the festival. Can I get a refund? If you no longer can come to the festival we can give you a 70% refund. If you want a refund please let us know by email (goulashdisko[@]gmail.com) before the 5th september. We will not do refunds after the 5th september. 4) Can I buy my camping ticket on site? You can buy your camping ticket on site, but the easiest way would be to get it online (here is the link). You would then avoid queues and unnecessary commuting between the camping and the festival site with all your luggage when you will arrive. If you have more questions, please send us by email, or on our Facebook page! Full Lineup and Last Tickets for Goulash Disko Festival! With about 50 dj's, 10 bands, performers of many kinds, workshops and jam sessions everyday, Goulash Disko 2017 is ready to roll! Last additions on the lineup include the legendary Romani band Parno Graszt, clowncore/hardcordionist Ed cox, afro-tropycal wizzard Déni-Shain (Analog Africa), and label showcases from VOODOOHOP, Sonido Trópico and Tal der Verwirrung. On the side, we spiced up the Goulash with tango, slam poetry and circus workshops, as well as fire breathers, martial and street artists, folk singers, light and landscape artists, drum & bass workouts, acoustic jam sessions..and many more tasty things! Goulash Festival Tickets are running low! The festival ticket does NOT include camping access, so in case you want to stay in the camp, don't forget to book your ticket. 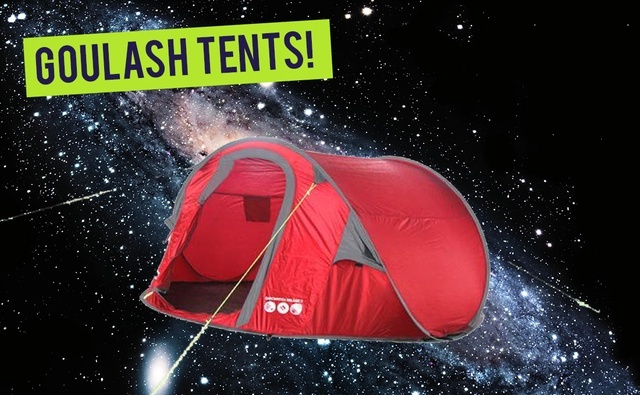 If you can't bring your own, we can provide tents that accommodate up to 3 people which are available for 50€. We are willing to rebuy them at the end of the fest if they are in good condition. If you are interested, send us an email at [email protected] and we'll book one for you! 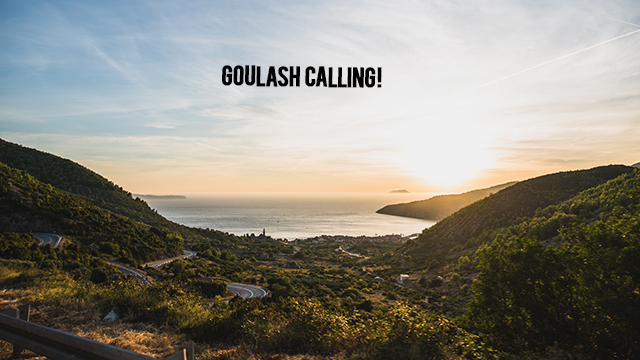 That's it for now, we hope you had a good summer so far and that it'll finishes in the best possible way with the Goulash Festival!! See you very soon in paradise!!!!!!!!!!! Accommodation @ Goulash Disko festival! 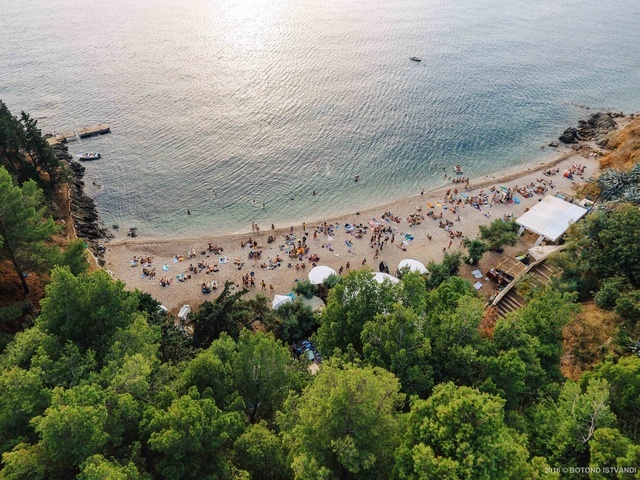 Together with the city of Komiza, we set up a temporary camping spot, located on a protected piece of land in the middle of the village, shaded by pine trees and accessible by cars and camper vans. Camping Tickets give access to the camping site between 11 and 18 september (7 nights), and help us cover the costs of infrastructure and maintenance, plus all taxes applicable. - Vehicle parking // 15€ extra for the whole week, to be paid on the spot. There are plenty of accommodation options in Komiza, from basic rooms to luxury houses. Prices usually vary between 15 and 50€ per night per person. If you want to book private accommodation, we suggest checking out airbnb.com, asking a local tourist agency to find something for you, or getting in touch directly with the apartment owners listed at the Komiža tourist office website. Just make sure that you are renting in Komiza village, and not on city of Vis (or elsewhere on the island), as it would make your commuting to/from the festival quite complicated. Eventhough we wouldn't recommend it, there is the possibility to stay in the only hotel of the village, Hotel Bisevo. 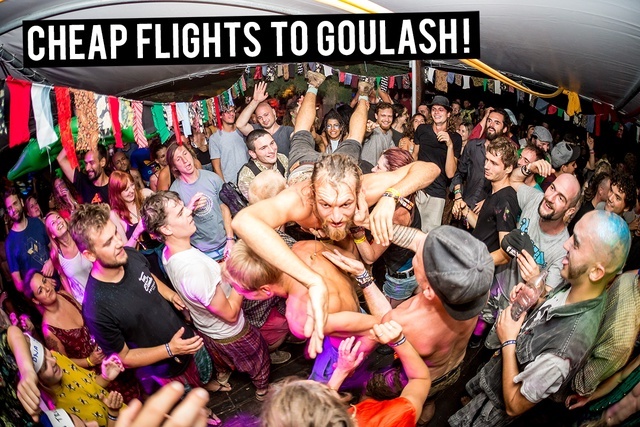 Cheap Flights to Goulash Disko Festival! If you didn't book your flights yet it may be the right time!